Esther Mujawayo ist Mitgründerin von AVEGA (Association des Veuves du Genocide d’Avril) der Assoziation der Witwen des Genozids vom April 1994. Sie ist Soziologin und Traumatherapeutin und lebt in Deutschland. Während des Völkermords in Ruanda wurde ihr Mann Innocent ermordet. Sie überlebte zusammen mit ihren drei kleinen Töchtern. Esther Mujawayo ist Autorin von zwei Büchern: “Ein Leben mehr – Zehn Jahre nach dem Völkermord in Ruanda” und “Auf der Suche nach Stéphanie – Ruanda zwischen Versöhnung und Verweigerung”. Sie hat unsere Fragen auf Englisch beantwortet. Frau Mujawayo, what should people in Germany know about the genocide in Rwanda? People in Germany should know- about the genocide against the Tutsi 1994 in Rwanda- that this was a well planned and known genocide. It was possible to prevent it before it occurs, it was possible to stop it while happening, but there was no political will to do so. The International community hold a guilt role in this genocide, by helping it, like the French government, or by not intervening, like the USA, UK, Belgium, Germany. People should also know that it was not a sudden eruption of violence from wild African people. It is a long time story, it founds its origins long time ago in the colonial powers, first from Germany and later from Belgium, years of discriminations against the minority Tutsi after the independence. People should also know that the Tutsi refugees question which was lasting since the end of the fifties /beginning of the sixties was a „bombe à retardement“. Having failed to address the issue for more than 30 years gave the chance for an armed attack from the RPF. This year we discussed the question with many people in Germany: 20 years after the genocide in Rwanda: What have we learned? What is your answer to this question? But I think that being objective, some lessons have been learned: Like at least to agree to change the mandate of a UN force when it is necessary. We saw that in the DRC for example, when the UN forces were given another mandate. I think we learn also about having troops ready and sending them quickly. I think that there is also today a better hearing about the people on the ground: during the genocide in Rwanda, New York didn’t listen to the general Roméo Dallaire, even though he was sending alarming signals. Today I have the impression that the local voice, from NGOs or Peace Forces on the ground are having more impact. I also have the impression that the racist point of view from the powerful west is getting more open than in the past, looking at every human being as a MENSCH. Probably I am too optimistic, but I feel some changes in the direction. What kind of engagement and efforts would you like to see from German politicians and German society in support of Rwanda in the future? 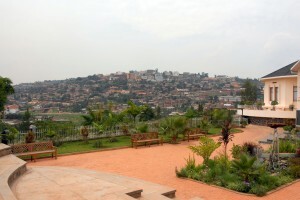 For Rwanda, it is so important that the genocide against the Tutsi has been recognised as such. The creation of the ICTR, even if not the best, was at least a big signal to the perpetrators that it is not going to go unpunished, like in previous pogroms. It is also a big step forward that countries have also embarked on processing those perpetrators on their soil, including Germany. My wish for the German politicians is to go ahead and continue to prosecute the perpetrators and encourage other countries which are harboring big perpetrators to do so. However, even though justice is important, there is also a necessity to restore the dignity and humanity of victims through compensation. 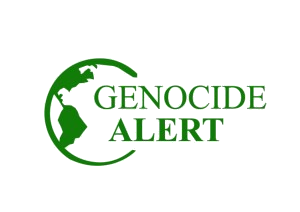 So for me there is still a big need for the German politicians and society to work hard in getting victims of the 1994 genocide being compensated before it is too late: They need it in order to restore their damaged lives, health, NOW.